The BRK31-365 model black light kit is an intense UV light source. Very strong in a small package. This five Watt 365 nm UV Black Light Flash Light Rechargeable Kit. 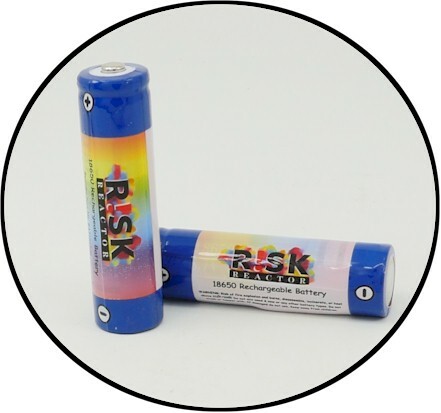 Comes complete with super intense pure 365 NM UV flashlight, rechargeable 18650 battery, and charger for the 18650 battery. Everything you need. So strong you can use for UV curing and non destructive testing. When you are in the market for a black light you want maximum effect from your UV light source. Most black light reactive materials use the long wave 365 NM wavelength. This UV light source has low apparent visible light noise. Giving the reactive surface a greater difference visually then using a higher wavelength. Now with that being said there are some materials that need 395 NM. But generally speaking the 365 NM wavelength ensures the fluorescent object, and not the surrounding surface, is illuminated perfectly. BRK31-365 adopts top-level professional UV chip from Japan of precise wavelength and 20,000 hours lifespan. "Very powerful UV source, which we needed in our quality inspection area. I recommend the BRK31-365 especially when you have use only rechargeable black lights." 1 ) Check the leaks for air conditioner and automobile circulatory systems. 2 ) Mark and blood inspection, examination of the crime scene. 3) Treasure and minerals searching, Antique appraisals. 4 ) Ink curing and glue curing. 5 ) Counterfeit and banknotes distinguishing. 6 ) Gas leaks inspections. 7 ) Fluorescent reflection of special materials. ● Chip characteristics: constant current circuit chip which maintains constant brightness. ● Power source: 1 x 18650 Li-ion battery. ● Burn time: high light - 8 hours. ● Switch: end click switch. ● Material: made of durable aircraft-grade aluminum T6061. ● Reflector: high-temperature vacuum coated aluminum mirror reflector. ● Lens: tempering optical lens. ● Treatment: premium type III hard-anodized anti-abrasive finish. ◆ It adopts top-level professional UV chip from Japan of precise wavelength and 20,000 hours’ lifespan. ◆ Mark and blood inspection, examination of crime scene. ◆ Ink curing and glue curing. ◆ Fluorescent reflection of special materials. BRK31-365 Black Light UV Batteries. Rechargeable Black Light Batteries BRK31-365.